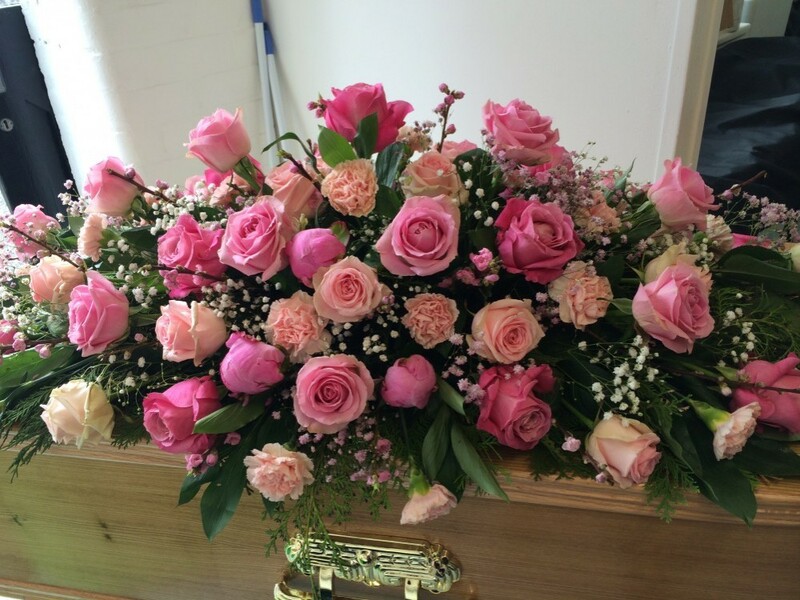 The ultimate last gift of love, a large coffin spray of pink roses enhanced with dark green foliage and soft trailing ivy and fern. Pink roses are a symbolic choice to show love, grace and elegance and this family tribute is an impressive declaration of all three. Available in other colour choices and flowers.